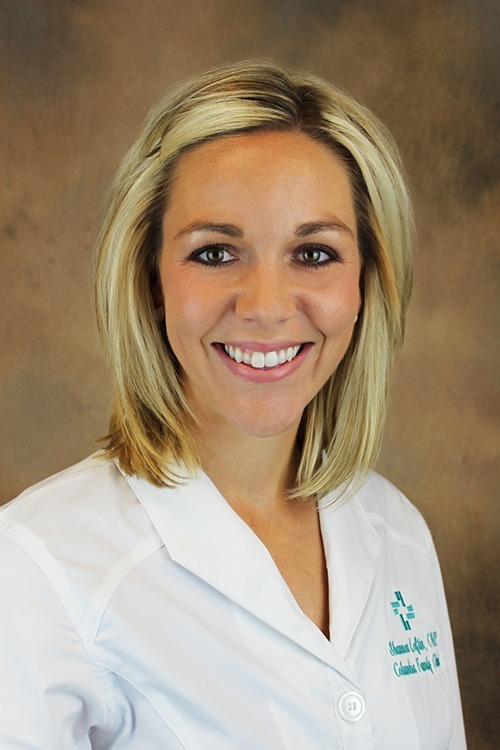 Shannon H. Loftin, CNP, joined Hattiesburg Clinic Columbia Family Clinic in 2016 as a certified nurse practitioner. She received her Bachelor of Science in Nursing from The University of Southern Mississippi in Hattiesburg, Miss., and her Master of Science in Nursing from Walden University in Minneapolis, Minn.
She is board certified by the American Academy of Nurse Practitioners and the Mississippi Board of Nursing and has special practice interests in health promotion and disease prevention. She holds a professional membership with the American Association of Nurse Practitioners and is an active member of New Hope Baptist Church in Foxworth, Miss. At Columbia Family Clinic, Loftin focuses on creating individualized treatment goals for patients with both acute and chronic illnesses, while educating individuals on maintaining good health and preventing disease. With nearly a decade of experience in health care, her number one goal is to serve others within her community. Columbia Family Clinic provides comprehensive evaluation and care to meet the total health needs of each family member. These physicians offer prompt, complete assessment of the patient in their home communities and are able to obtain and coordinate consultation with other specialists when necessary. Family physicians receive training in six broad areas of medicine: pediatrics, internal medicine, psychiatry, surgery, obstetrics and gynecology, and community medicine. Walden University – Minneapolis, Minn.